The definitive multi-tasker, BECCA’s The One Perfecting Brush takes the guesswork out of brushwork – buffing liquids, crème and powders to perfection for effortless, undetectable skin enhancement. 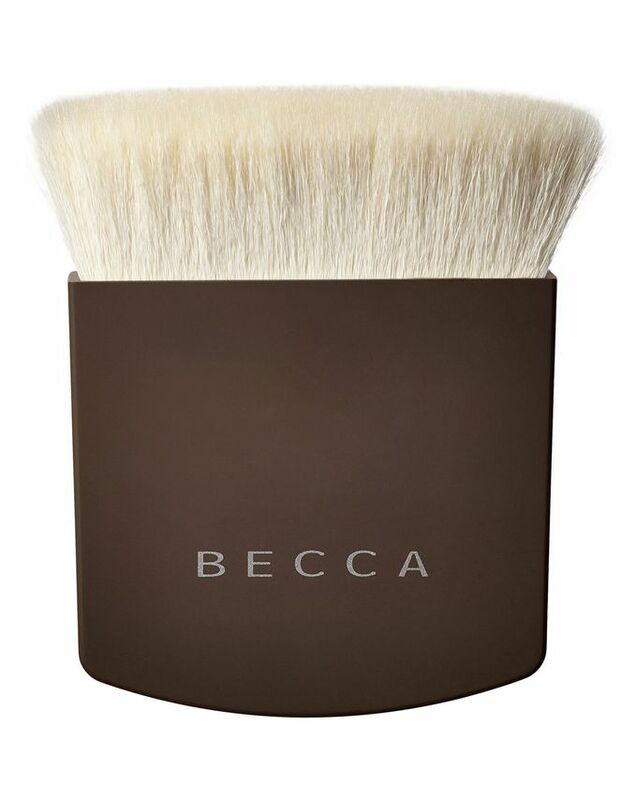 With non-porous, high-quality goat hair bristles, to pick up and disperse product perfectly, the densely packed fibres are arranged in a line so you can quickly cover large areas, or carry out more precise brush work (such as sculpting and highlighting). The length and closeness of the hairs guarantees an ultra-smooth, airbrushed finish every time, whilst making a variety of application techniques possible – stippling, blending and buffing, for example. What’s more, the unique shape of the handle and soft-touch finish provide complete control during application, allowing you to create your desired look. 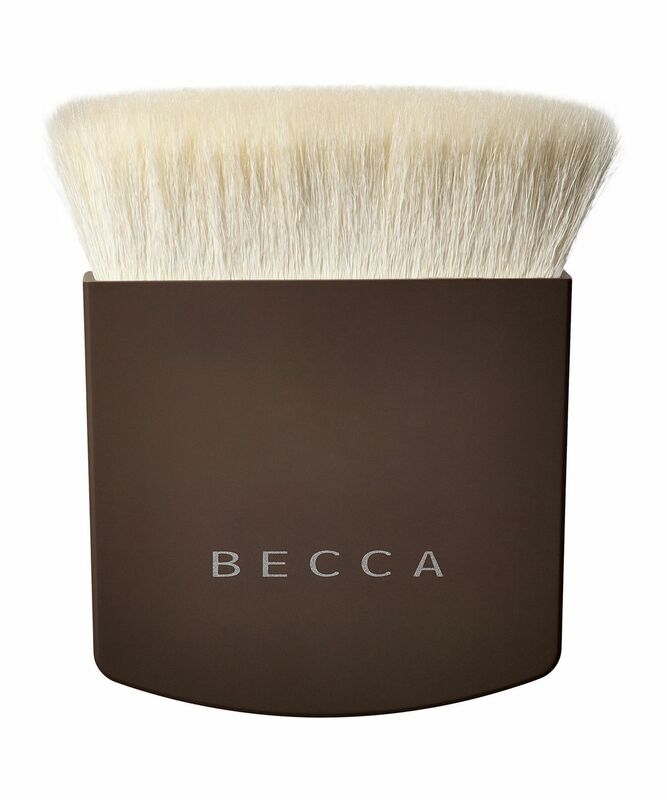 The perfect way to streamline a bulging make up bag, this does the job of multiple brushes in one, and is ideal for achieving BECCA’s trademark, backlit luminosity. Creators of exquisite, high-performance make up formulations – with blendable textures and wearable shades – BECCA is synonymous with effortless enhancement. Multi-award-winning, the rich pigments, soft hues and weightless coverage make it easy to achieve an enviable, airbrushed effect – so you look naturally luminous (and absolutely flawless). With emphasis placed firmly on creating the perfect canvas, BECCA’s primers, illuminators and foundations blur together seamlessly, to help you achieve the ultimate, lit-from-within finish – think ‘your skin but better’. FOUNDATION: Using the broad side of the brush, sweep foundation horizontally across forehead and then move to cheeks & chin. Finish by sweeping vertically down the nose using the narrow surface of the brush. HIGHLIGHTER / SHIMMERING SKIN PERFECTOR: Using the narrow surface of the brush, sweep illuminator down the tops of cheek bones and down the bridge of nose. CONTOUR / MINERAL BRONZING POWDER: Using the narrow surface of the brush, sweep brush under cheek bones, down sides of nose, and around temples. Like, honestly, I don't know. At first, I really loved it, it applies BB cream and powders really nicely. I've tried it with concealer -- not so great. And it sheds (I've had it for about a month now and it does it a lot) and what's up with the recommendation to wash it only once in two weeks? That's just unhygienic. Soooo, no, I am not completely sold on the whole concept. I first could not imagine how such a big brush could work, therefore I hesitated to buy this one for years. I was a fool to wait! This brush has revolutionised my make up routine. I apply BECCA stick foundation, all liquid foundations of them, do contouring, rouge and highlighting with the angle of the brush, both powder or cream. Blotting powder at the end - everything goes with great results. The brush is very soft but the bristles have enough "stand" that the product simply sits on top and is effortlessly blended. After every use I strike it several times over a paper tissue. I wash it every week with Dr Bronner's liquid soap and it is like new. I bought now three brushes so if it is ever discontinued (like they did with the Lumious Skin Color - shame!!) I have my piece in stock. I love the 'barely there' look and this brush is perfect. I expect if you prefer an heavier coverage, then a more traditional brush or sponge might be better. That said, I have a silly amount of brushes and would wholeheartedly recommend this whatever your base preferences are as this is also great for applying bronzer (cream, powder and liquid) and blush. Like one of the other reviewers, I might actually stock up on this so I can have a couple of spares. A truly fantastic brush that makes application of makeup a breeze. I have only used it with powder bases, so far. I use it with compressed face powder, blusher and highlighter. All can be used at the same time as there is so much space on the brush to accommodate different products. It is smooth and non scratchy. It does not shed. It picks up the almost perfect amounts of product and when I'm too heavy handed and pick up too much, the brush makes blending as simple work of art. A truly wonderful brush.